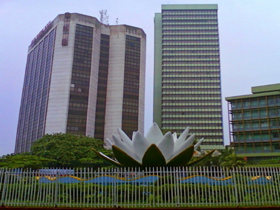 Dhaka, Bangladesh (BBN) – The overall growth of bank credits witnessed a declining trend in recent months due mainly to the central bank’s ongoing cautious monetary policy stance, officials said. The deposit growth, however, maintained an almost static situation during the same period despite the inflationary pressure on the economy, which has further limited the scope for expansion of normal deposits with banks. Credit growth, particularly in private sector, dropped by 16.68 percent or BDT 4072.07 billion as of November 15 last from 20.11 percent or BDT 4026.55 billion on August 16. The growth of bank deposit also declined by 19.37 percent or BDT 5175.95 billion from 20.73 percent or BDT 4978.50 billion, according to the central bank statistics. 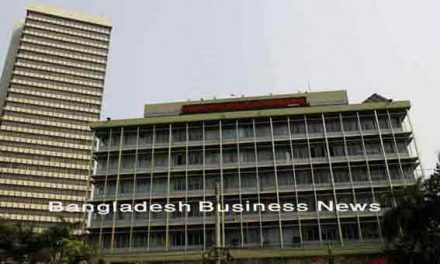 “It’s a correction in the country’s banking sector,” a senior official of the Bangladesh Bank (BB) said, adding that the banks are now scrutinizing closely loan proposals before sanctioning any fresh ones. He also said the central bank was carefully monitoring the overall credit-deposit ratio (CDR) of banks to ensure stability in the country’s financial sector through minimizing their assets-liability mismatch. The average CDR of all banks came down to 77.56 per cent on November 15 last from 79.93 per cent on August 16, the BB data showed. “We expect that the declining trend of CDR may continue in the near future,” the central banker said without elaborating. The central bank earlier set the CDR at 85 per cent for the conventional banks, while it remains at 90 per cent for the Sharia-based Islamic banks. “The central bank has asked some banks, which have exceeded their CDR limit, to bring down the same within the required limit by December 31,” another BB official said, adding that the central bank will take necessary actions against defaulting banks after the deadline.